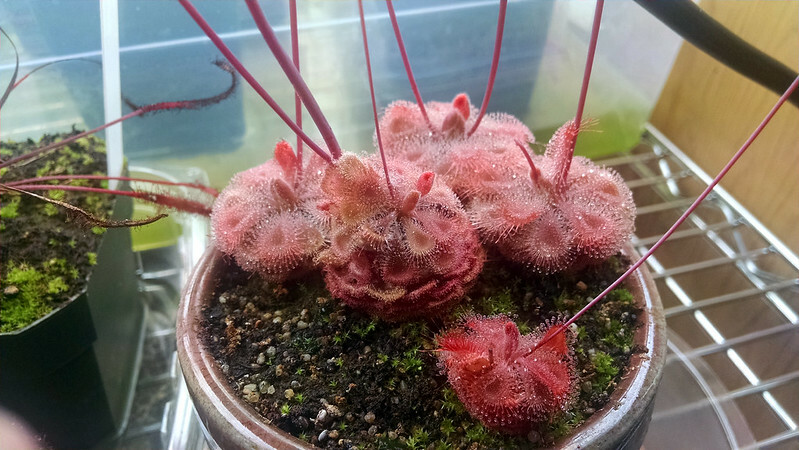 New seeds for trade and sale – Drosera burmannii and others |Sundews Etc. Before we get down to business, take a look at these Drosera burmannii. Those wedge-shaped laminae make such a lovely circle. Yowza! They are really looking great! This is my non-competition pot of D. burmannii, which is pulling through the stress of blooming much better than my competition pot, below. These plants put a lot of energy into making a million billion seeds. The main plant in the middle is looking especially ragged – its leaves are half the size they were at competition time. I hope it can pull through! I know blooming is particularly stressful for D. burmannii, and they don't always make it. 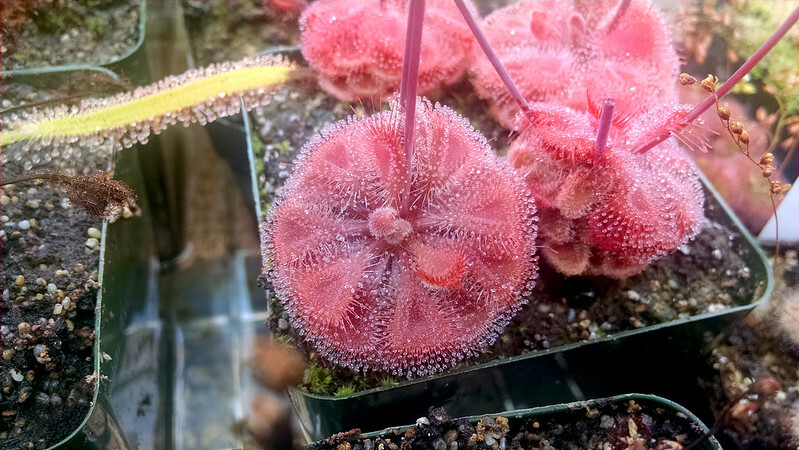 On the plus side though, I do have lots of D. burmannii seed, and since I recently confirmed that my Drosera tokaiensis is fertile (and also that Drosera capillaris doesn't need cold stratification), I decided to update my Sales and Trades page. Send me an email if you're interested in doing any trades. I'm always interested in new Drosera and terrestrial Utricularia, and can definitely be tempted by Sarracenia and Pinguicula. Gotta get new plants somehow!